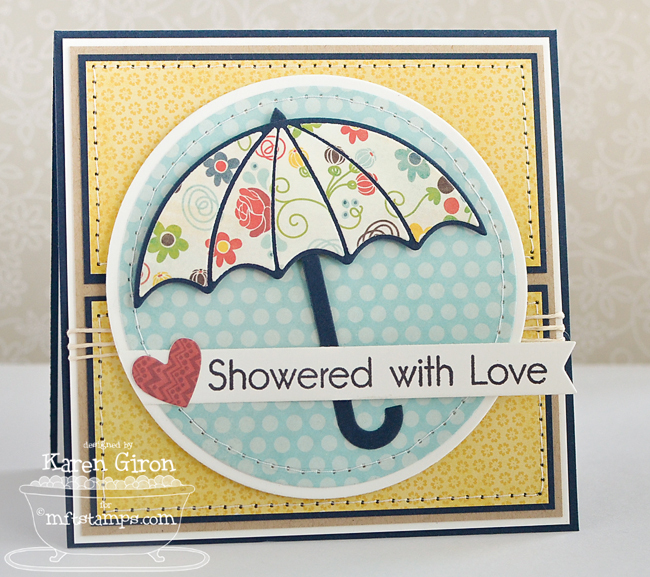 I made a card using Umbrella Sentiments and Umbrella Die-namics. 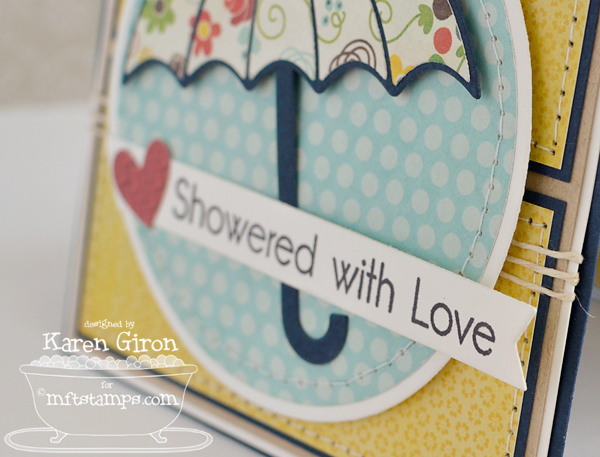 I started with some beautiful Collectable-Remarkable 6x6 papers from My Mind's Eye and used some scraps to cut out the umbrella panels and the little heart from the Notched Tag Die-namics set. I cut out the base of the umbrella with the Umbrella Die-namics in Nightshift Blue Card Stock and then layered the sentiment over the top of the handle. I tied some Hemp Cord around the base of the card, just to give it a little more punch. 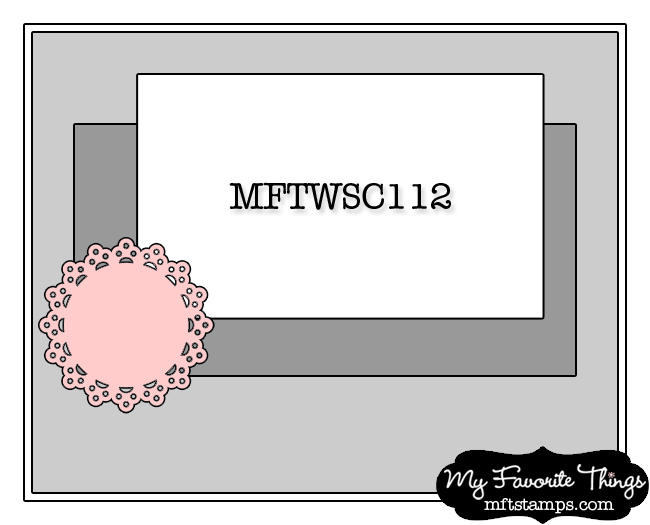 The sentiment is stamped on Whip Cream Card Stock with Black Licorice Ink and it is cut out with a Fishtail Flags Layers STAX Die-namics die. 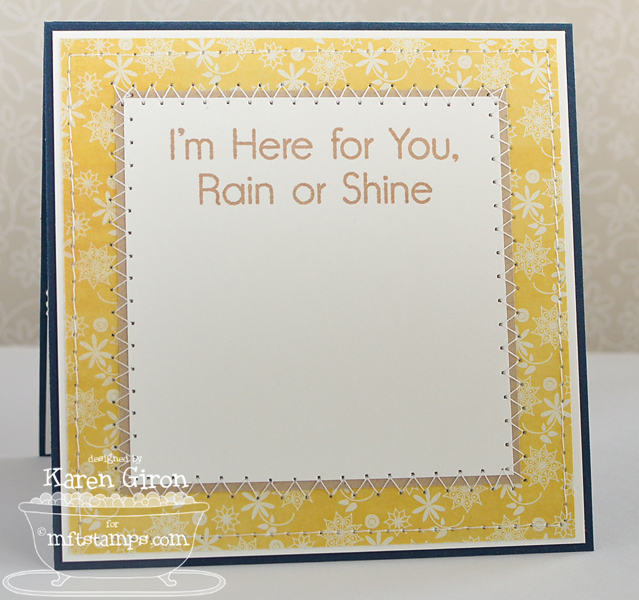 I stamped another sentiment from the set in Kraft Ink inside the card as well. 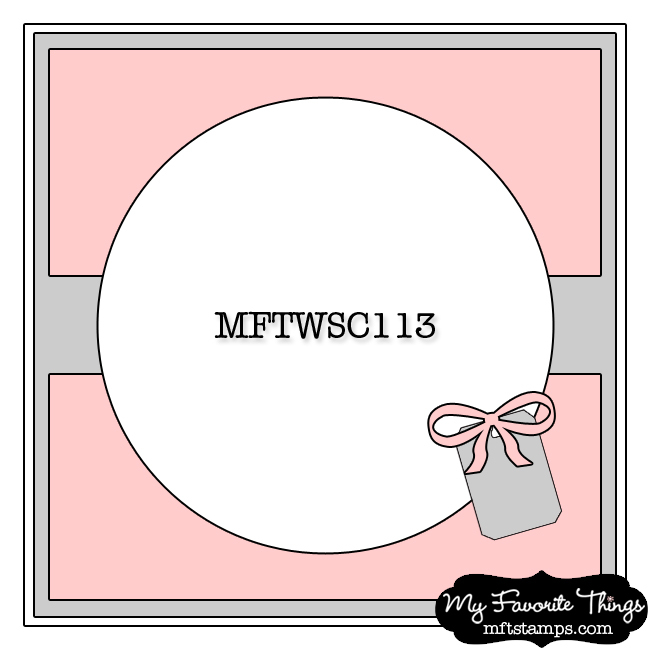 Be sure to stop by the MFT Blog for a complete list of designers playing along in this week's Stamp Club and find out how you can win MFT goodies! Hello and happy Sunday! We are sitting here in the middle of a snow storm and we are cheering about - finally the kids have enough snow to play in, woohoo! Shannon created this sweetie and I love the sponged clouds she created in the background. 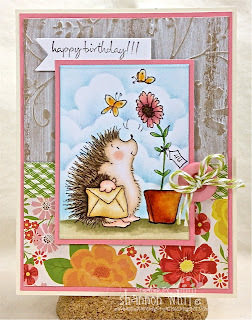 This darling baby card from Candice is full of sweet perfection. 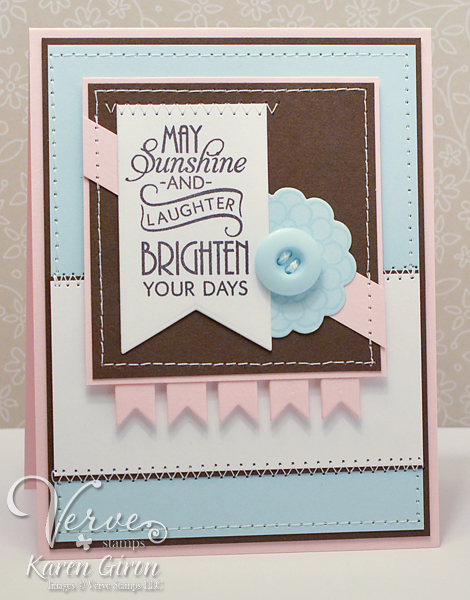 I am loving the Liquid Pearl dots - yum! 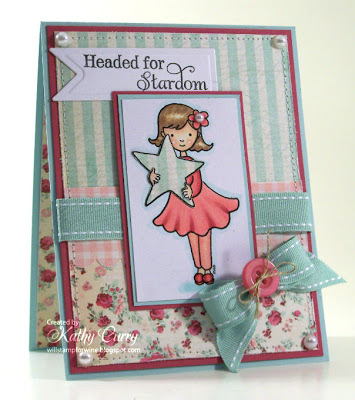 Tracy's springtime card is gorgeous with the fabulous mix of papers and the beautiful organdy bow. 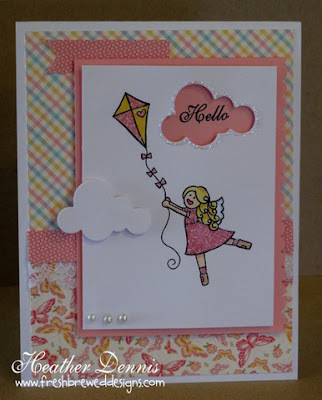 I love the negative die cut Heather used for her image and the glitter around the cloud really makes it stand out. And Kathy created this cutie with her darling dress and amazing button bow. I love the little pearl in her hair. Congrats Heather! I'll be contacting you shortly with the next sketch as well as your designer badge. I can't wait to see what you create! There is still time to play along with us for SSSC178 - the challenge closes this Friday night. Good morning friends! Happy Friday! 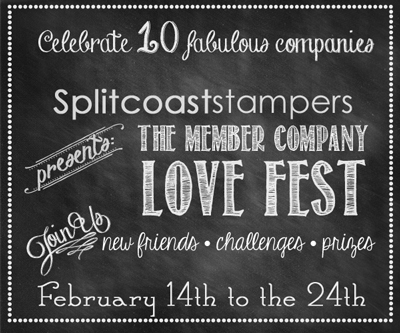 Have you been playing along in the Splitcoaststampers Love Fest this past week? It's such a fabulous way to get your crafty mojo flowing and today SCS is celebrating Verve Stamps! Last week, Julee announced the new Verve Divas on the Verve blog and I'm so excited to say that I am joining the Verve family as an Inspiration Diva! Woot! So I'm making my Diva debut with the Verve challenge for Love Fest - In LOVE with Color. The challenge is this: Color your world with Verve's signature colors plus a splash of pink or yellow, depending on just how splashy you want to get! 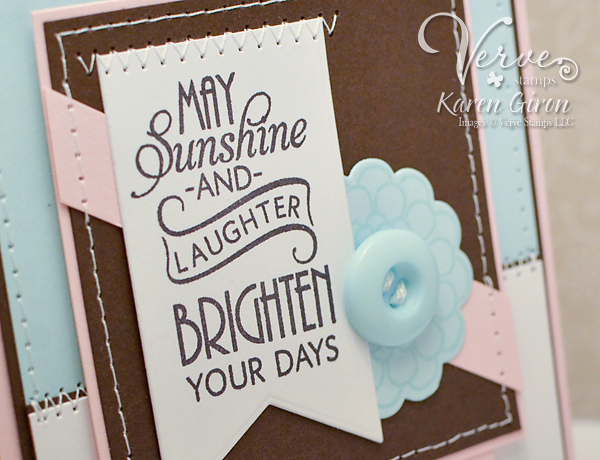 I started with MOJO280 for the layout and then stamped this gorgeous sentiment from Brighter Days in black ink. 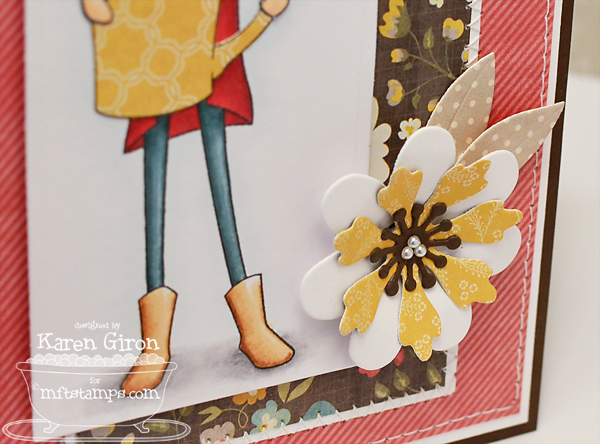 I used the Pennant Trim die for the banners underneath the brown cardstock and added a flower embellishment using the flower stamp from the set and the small die from Scalloped Flowers. I added more than a splash of pink on my card and I love all the soft tones with the dark brown - so scrumptious!! 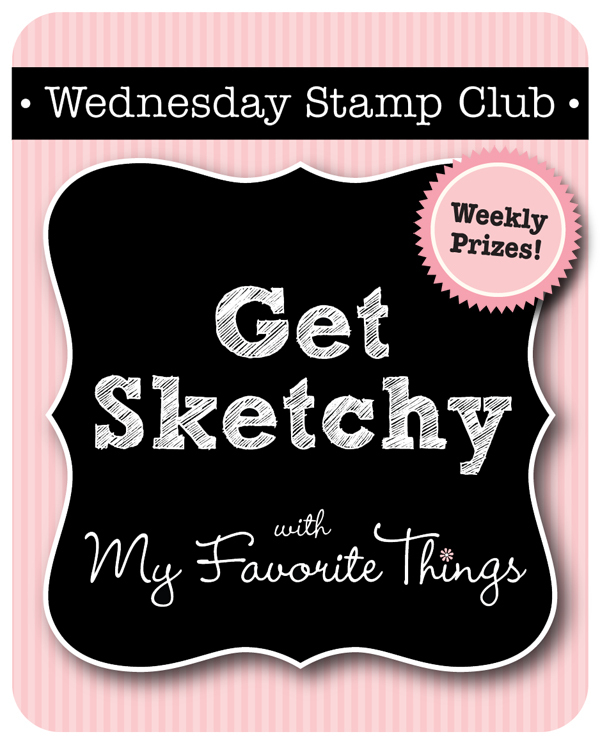 Don't forget to stop by the Verve Forum for all the challenge details and I hope to see you in the gallery! I made a card using à la modes Hot Cocoa Cutie. I ended up rotating the sketch so I could fit it to my image - I started by stamping her in Memento Tuxedo Black ink on X-Press It Blending Card Stock and then cut her out with a Traditional Tags STAX Die-namics. I Colored her with Copic markers and then paper pieced the mug with some Collectable-Unforgettable 6x6 paper from My Mind's Eye. 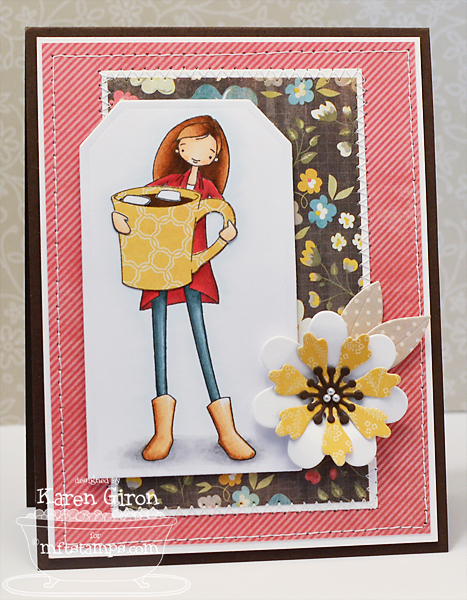 I stamped her again on X-Press It Blending Card Stock and cut out the marshmallows to put in her cocoa. 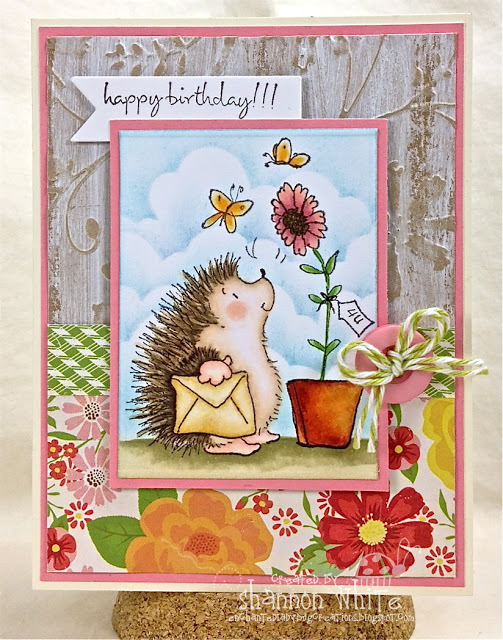 The flower is made from the Prima Donna Petals Die-namics with some Sweet Tooth Card Stock and more Unforgettable papers and I added a little pearl trio inside the Hot Fudge Card Stock center. I stamped the sentiment on the inside of the card in Memento Rich Cocoa on a Fishtail Flags Layers Die-namics and added more stitching around the paper borders.